Have you visited western Nebraska? If not, you've missed stunning vistas and a chance to stay at Fort Robinson, known to Crazy Horse and Red Cloud, Spotted Tail and Dull Knife, Buffalo Soldiers, German prisoners of war, war dog trainers, and champion equestrians. In 1874, when tensions ran high at Red Cloud Agency--named for a great leader of the Oglala Sioux--the agent called for troops from Fort Laramie. Both cavalry and infantry arrived in March of that year, resulting in the establishment of Camp Robinson, named for Lt. Levi Robinson who'd been killed the previous month. Men stationed at Camp Robinson would be caught up in ongoing tensions with both The Oglalas and northern Sioux at Red Cloud agency and Spotted Tail's Brules at Spotted Tail Agency. By summer of 1874, it was obvious the troops' presence wasn't temporary. Soldiers were building log barracks and other permanent buildings. 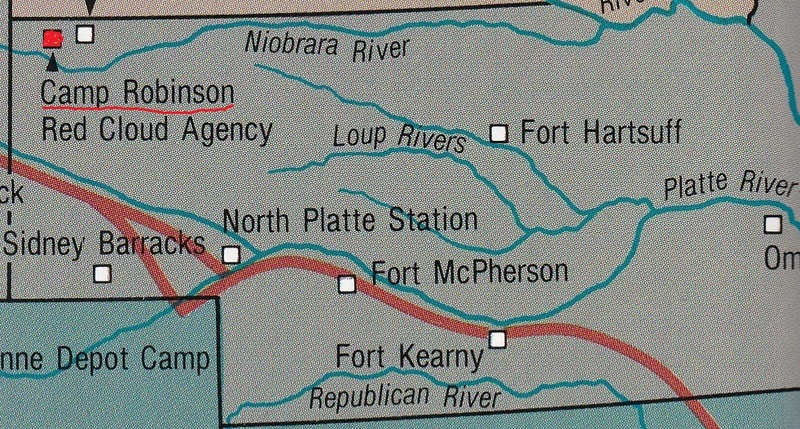 By 1878, Camp Robinson had become Fort Robinson. The death of Crazy Horse and the tragic "Cheyenne Outbreak" took place here. Throughout the 1880s, routine life at Fort Robinson involved target practice, ceremonies, inspection--and building. New adobe officers' quarters and new barracks were added, and the Buffalo Soldiers arrived. Second Lieutenant Charles Young was among them. The son of former slaves, Lt. Young was a recent graduate of the U.S. military academy at West Point. From 1884 to 1887, Dr. Walter Reed (who gave his name to the Walter Reed Army Medical Center in Washington, D.C.) was Fort Robinson's post surgeon. Fort Robinson was the Army Equestrian Team's training ground in the 1930s. Two horses, Jennie Camp and Dakota, placed in the 1936 Berlin Olympic games. During WWII, Fort Robinson became a reception and training center for war dogs. Over 5,000 dogs were trained in trail and attack work, sentry duty, message bearing, etc. before the reception center closed in 1946. German POWS housed at Fort Robinson during WW II were taken on farm details and worked in the fort's kitchen, bakery, and hospital. They also helped with routine care of the war dogs. At one time, the entire Afrika Corps Band was imprisoned at Fort Robinson. 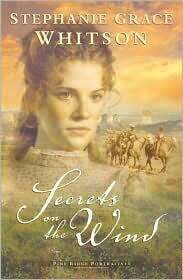 All three books in Stephanie's Pine Ridge Portraits series (Secrets on the Wind, Watchers on the Hill, and Footprints on the Horizon) are set at Fort Robinson. and among them all, a woman named Granny Max feels called to embrace people in need and the secrets that cripple them. Stephanie, thank you for sharing your very interesting post. Sounds like this fort has had an important and active role throughout its' history! It did! I loved visiting and learning about it. We have visited the states all around Nebraska, but haven't ever gone there specifically. 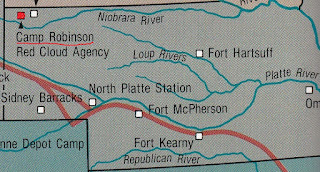 Fort Robinson sounds like a place I'd love to visit. And what an interesting history! It's a great combination of history and contemporary fun. Very interesting history! Thank you for sharing.